Dog-friendly Chicago-Where we visited on this trip to Chicago: Narnia Pet Behavior & Training, Tails In The City, Gucci, Shoreline Sightseeing, Happy Dog Barkery, Ballydoyle Irish Pub, Geneva Commons (Bath & Body Works, Aveda Salon, Yankee Candle, White House Black Market & Wet Nose). We stayed in the Westmont ClubHouse. Chicago Illinois. 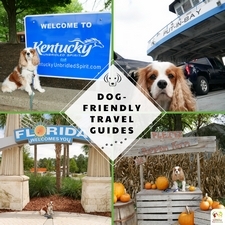 What a dog-friendly trip Dexter The Dog and I had in the fall of 2013! We headed to Chicago in a car with our friends Lisa and Penny The Dog. 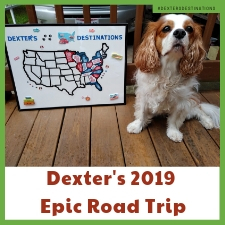 Dexter’s brother Lambeau’s mom, Joy, is a fellow dog trainer, so I thought it would be a nice weekend getaway with my canine buddy. 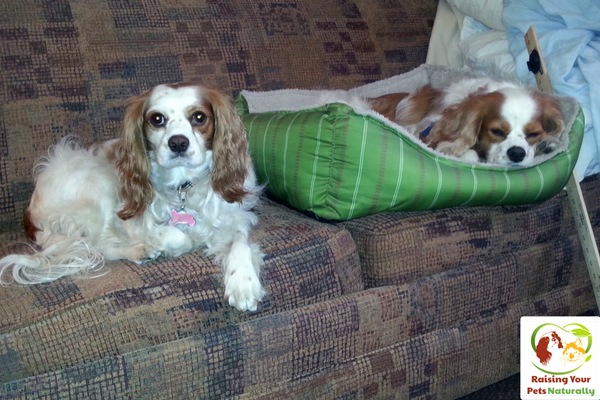 Our weekend dog trip started with a dog play date, in particular, a Cavalier King Charles Spaniel play date! For a Cavalier Mom, it doesn’t get much better than that. This fun doggie play time was held at the Chicago-based dog training facility Narnia Pet Behavior & Training. It’s a great Chicago positive-reinforcement dog training business. If you’re local, make sure you check it out! We had such a great time visiting with Joy and Lambeau and meeting new dog friends on our dog-friendly trip to Chicago. The GoPro Hero camera often gets pulled out on our dog-friendly trips! After our fun dog meet and greet, we headed to our dog-friendly hotel in Westmont Illinois, The Westmont ClubHouse Inn & Suites. The hotel was a great location for us. It was about 25 minutes from Chicago & Plainfield, our two areas of interest for our trip. The Westmont ClubHouse was a nice dog-friendly hotel. We booked a Deluxe Queen Room with a sleeper sofa. The queen bed and sleeper sofa were both comfortable. It was a no-frills room that was very clean. The location felt safe and we had plenty of grass to walk the dogs. The hotel had a complimentary breakfast. The breakfast was nothing to write home about, but it was one less meal that had to come out of my purse. They also have a complimentary nightly cocktail hour and indoor pool that we also missed. Obviously, both of these would be without the dogs. The Westmont ClubHouse outside of Chicago starts at about $85. 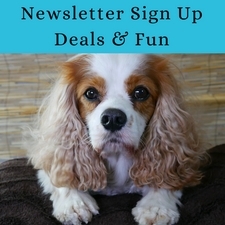 We had an additional $50 pet deposit and $10 per night pet fee. I would stay in the hotel again without complaining. The following day in Chicago, we packed up the dogs and went for a day in the Windy City. I have visited Chicago in the past, but this time was the first while traveling with a dog. The first dog-friendly store in Chicago we visited was Tails In The City. I know, that’s just the cutest name ever! Our travel companion Penny The Dog purchased some really cute dog swag and a sweetheart dog blanket. The luxurious dog blanket was so soft and cute. Dexter The Dog is hard to shop for since I tend to do my dog shopping online. But I did manage to pick him up some organic bacon dog treats and dog poop bags. You can never have too many poop bags. Of course, Dexter thinks you can never have too many dog treats. As a gift for a friend, I picked up some sweet Cavalier King Charles Spaniel note cards. It’s not easy finding our breed specific items in pet stores. We continued to shop, walk and eat with the dogs in tow. Eating is one of the things the dogs particularly enjoyed, of course. What I’ve learned over the years while traveling with my dog, is just to ask if he can come in. You may be surprised at how many stores will allow your well-behaved dog inside. Gucci at the 900 North Michigan Shops even said yes! Unfortunately, I did not go home with any dog Gucci items, but the salesman was trying to convince me that Dexter The Dog would fit in a Gucci handbag. 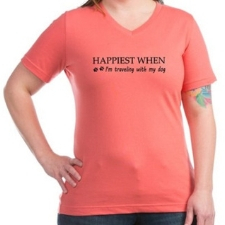 Sorry, my 27-pound dog would get a bit heavy, I think. 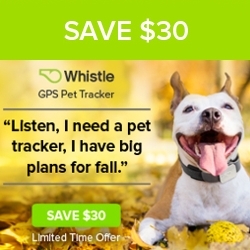 I’ll have to stick with his Pet Gear dog stroller. We were going to go on a horse carriage ride at the Antique Coach & Carriage Co, but we just had too much fun shopping and walking around Chicago, and really wanted to do a dog-friendly boat ride. We chose Shoreline Sightseeing and we were so happy that we did. This dog-friendly Chicago boat ride was a real hit with Dexter. Once we settled into our seats, he just relaxed and took in the Chicago shoreline. The Captain and crew were extremely professional and accommodating. A dog-friendly cruise is always a hit with Dexter. Okay, maybe not a cruise. By the time our day in Chicago was over, we all were exhausted! We packed a lot of dog-friendly adventures into one day. Whew. Watch our relaxing dog-friendly boat ride. After our fun-filled, dog-friendly day in Chicago, we headed to Geneva, Illinois. A little dog-friendly shopping was on the agenda. We decided to check out the dog-friendly shopping center Geneva Commons. Geneva Commons is so dog-friendly they even have a dog-friendly store directory with dog paws to let you know which stores allow dogs! 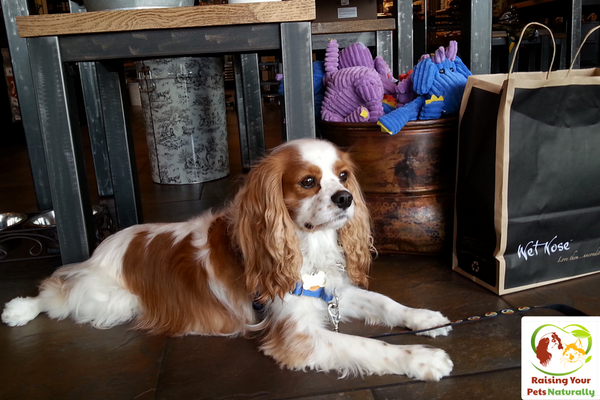 We visited a few of the dog-friendly stores in Geneva Commons. We hit Bath & Body Works, Aveda Salon, Yankee Candle, White House Black Market and, of course, Wet Nose! Everyone was so nice and accommodating. Dexter The Dog and Penny The Dog got lots of treats from the store owners, too. 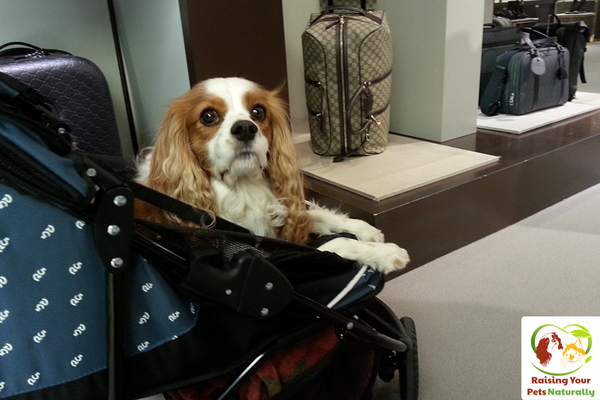 It was a great dog-friendly shopping experience. 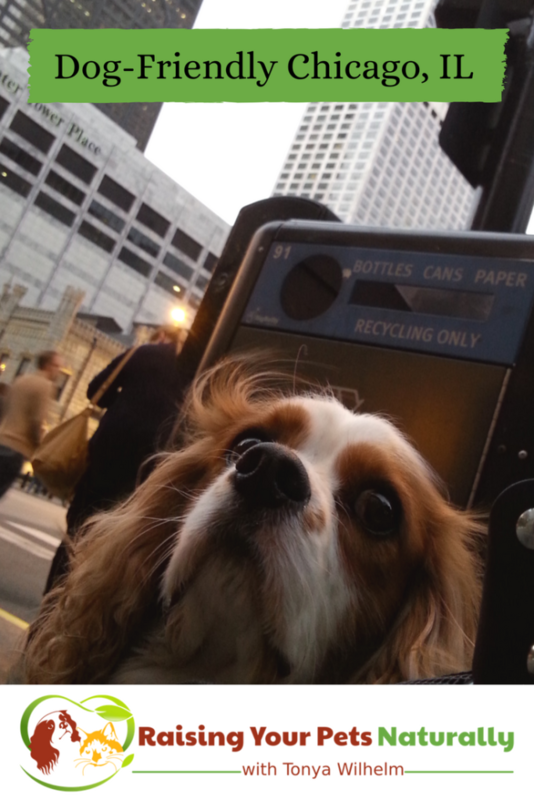 After our dog-friendly shopping, we headed out to another Cavalier King Charles Spaniel Meetup in Chicago. 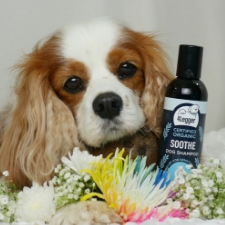 This was hosted by another Cavalier group that we met on Facebook. 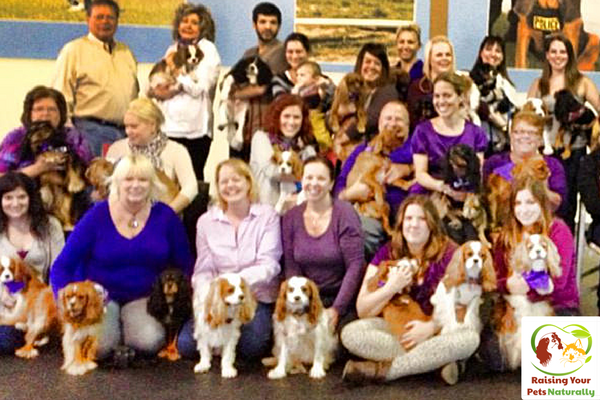 We had a blast with so many friendly Cavaliers, and to be able to meet our friends was just amazing. The weekend wouldn’t be complete without meeting up with our friend Joy and Dexter’s brother Lambeau. 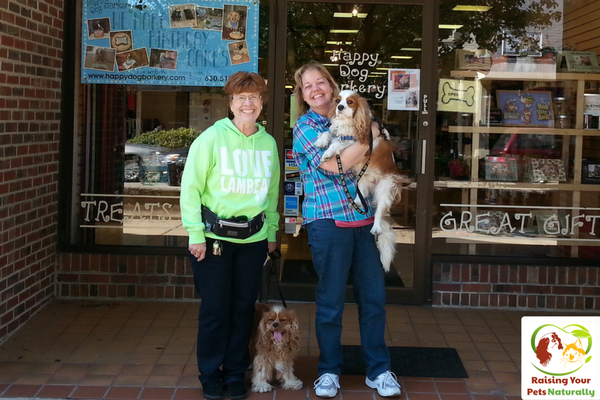 We decided to head over to Happy Dog Barkery in Downers Grove. Let me tell you, Dexter The Dog and Penny The Dog were so happy we did! I picked up what was soon going to be one of Dexter’s favorite things…..Alligator! Okay, so it wasn’t real alligators, but Louisiana Alligator Jerky Dog Treats. Dexter went bonkers for them. And yes, now alligator meat is one of his staples in his home-cooked dog meals. After our dog shopping trip at Happy Dog Barkery, we humans decided to go to a dog-friendly restaurant in Downers Grove. We decided on Ballydoyle Irish Pub. That was an excellent decision, I must say. 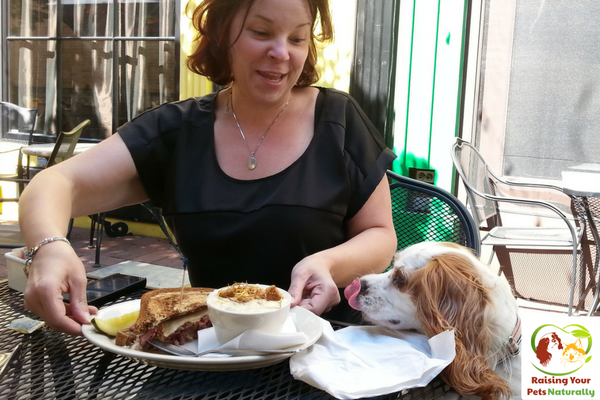 Ballydoyle Irish Pub was not only dog-friendly, but truly a taste feast. I ended up getting the strawberry walnut salad (not my usual fare), and it was delicious. I am so thankful that I went outside my box to try it. The lettuce was crispy with lots of great toppings. Yummo. Our server at Ballydoyle was a total gem. I would go back to Ballydole Irish Pub in Downers Grove in a heartbeat! I wonder if they deliver to Toledo. Our dog-friendly trip to Chicago was a real hit! Dexter and I can’t wait to visit the Windy City again. We’ll update this post if we get the opportunity to travel to Chicago again. Thanks for following our dog-friendly vacation. 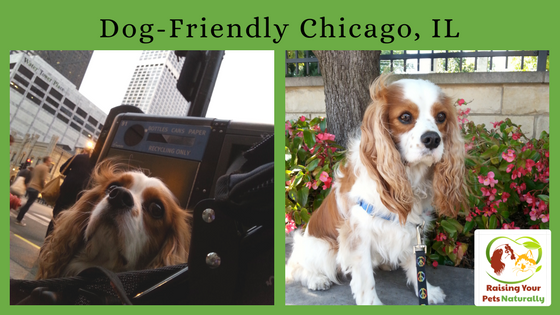 Have you vacationed in Chicago with your dog? Tell me in the comments.